Bring struggling children the opportunity to express themselves through various art media. Give children and their families a safe place to stay while waiting for day long audiology and/or medical treatments. Capture the stories and collect artwork refugees want to share and present to the rest of the world – building awareness and a compassionate response. Alalusi Art Initiative uses art as therapy; giving a voice to children and families displaced and/or traumatized by war and social unrest. Art Shows and Awareness. We’re now in the process of putting together a series of art shows to honor the artwork collected in Jordan, to build awareness of the plight of the Syrian refugees, and to elicit a compassionate response. Our first show was held September 17th at St. Mark’s Episcopal Church in Palo Alto, California. Several more are being scheduled. Art as Therapy. So far in 2017 the Art Initiative has also donated supplies and paper to be sent to Africa and to Central America with Entheos volunteers. An Art Therapist has joined our team and we am reaching out to other art and health professionals. Training for volunteers and a full travel schedule to assist medical teams are next steps. Art Instruction and social media sales. 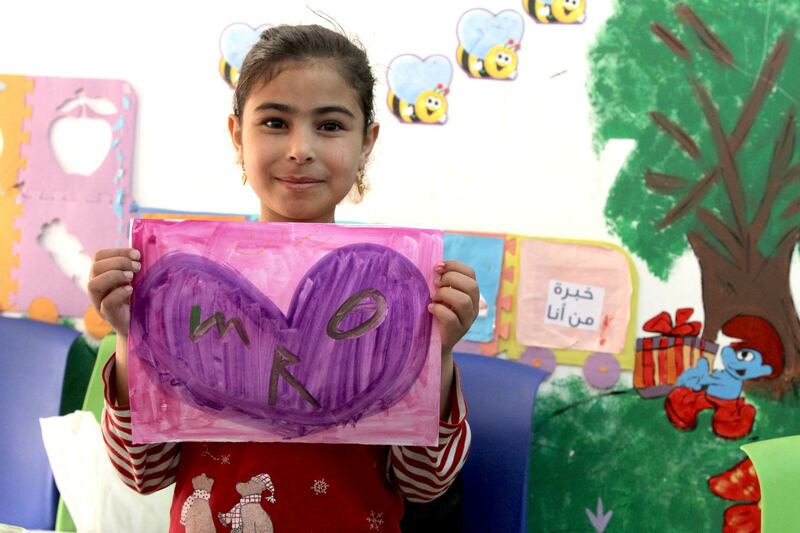 We recently purchased 15 paintings to support artists between the ages of 9 and 18 in the Zaatari Camp in Jordan. By providing training and helping to sell artwork and photography online, we will help provide a career opportunity for those who may have limited options. For more information or for ways you can volunteer, contribute, or purchase artwork, please contact Maggie Conroy at maggie@maggieconroy.com.